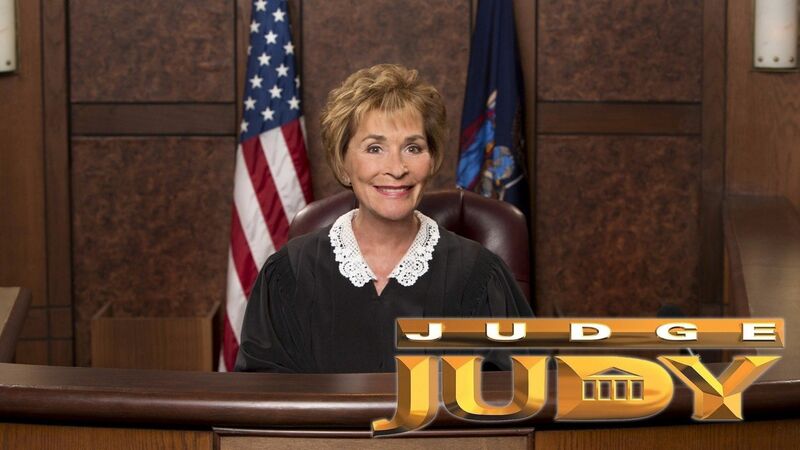 Here's where to watch every episode of Judge Judy season 7. Mouseover or tap an episode to see where to stream it. Click or tap the play icon to stream it on the best available service. Case 2396 May 17, 2005 A woman is angry about her ex-husband's inappropriate behavior around their child; a college student rear-ends a friend's car. S07E04 Sep 10, 2002 A drinking game between college students leads to a brawl; a couple say their drunken neighbors dented their van. S07E05 Sep 11, 2002 A student is caught in the middle of a fight; friends share a credit card. S07E06 Sep 11, 2002 Teens dispute fights involving bats, bricks, vandalism and theft. S07E07 Sep 12, 2002 A pizza deliverer sues his former lover; an aspiring model is upset with her haircut. S07E08 Sep 12, 2002 Former lovers argue over calls to a psychic; a woman feels uncomfortable during a trip to Mexico. S07E09 Sep 13, 2002 A man reports his son's bruises to the police; friends cash a winning lottery ticket. S07E10 Sep 13, 2002 Chased by his girlfriend's father, a man crashes into a parked car; a woman wants more than a diamond pendant for bailing her former lover out of jail. S07E11 Sep 16, 2002 Graduate student sues ex-girlfriend for credit card bills; woman sues mother for return of property, harassment, and slashed tires. S07E12 Sep 16, 2002 A woman punches her baby sitter's car; former lovers argue over a broken phone and clothes. S07E13 Sep 17, 2002 A housewife wants to take care of a woman's abused child; a maid service is sued for breach of contract and theft. S07E14 Sep 17, 2002 A woman sues ex-boyfriend for loans and property; a dog breaks into a home and terrifies two small children. S07E15 Sep 18, 2002 A man sues his former lover for the cost of a DNA paternity test; a waitress wants a refund on a used car. S07E16 Sep 18, 2002 A Florida home-owner goes to war with her contractor, claiming her fiance committed suicide over the cracked bathtub and other problems. S07E17 Sep 19, 2002 Former lovers clash over a lease agreement; woman sues neighbor for slander and damage caused by her cats. S07E18 Sep 19, 2002 A woman says her landlord poisoned her with pesticides; former lovers argue over money, furniture and harassment. S07E19 Sep 20, 2002 Former lovers argue over a dinette set and unpaid loans; a woman locks her former lover out of her apartment. S07E20 Sep 20, 2002 Woman sues ex-boyfriend for his share of the bills - he says he signed the IOU under duress; a woman wants a refund from her boxing coach. S07E21 Sep 23, 2002 Former lovers argue over loans; a woman wants the father of her unborn child pay her back for a loan. S07E22 Sep 24, 2002 A woman sues her ex-boyfriend for bail money and car damage - he says he was out of town when her car was wrecked; a man sues the ex-wife of his girlfriend's son for wrecking a car. S07E23 Sep 25, 2002 Former housemates argue over rent and assault; a man blames his arrest on a former girlfriend. S07E24 Sep 26, 2002 A former couple accuse each other of forgery and theft; sisters fight over car loan. S07E25 Sep 27, 2002 A woman wants her ex to pay for their loans - he countersues for mental anguish and harassment; a woman sues former friend for bail money. S07E26 Sep 30, 2002 Woman sues ex-boyfriend for his share of a trip to Disneyland; a woman says she overpaid her ex-husband for child support. S07E27 Oct 1, 2002 A baby sitter makes long-distance phone calls; a woman says her former lover ruptured her breast implants. S07E28 Oct 2, 2002 Couple sue son's friend for refusing to pay back a car loan; man sues ex-girlfriend for return of a car stereo and a cat named Hunter. S07E29 Oct 3, 2002 A teenager crashes a friend's car; women argue over a broken door. S07E30 Oct 4, 2002 A man says his friend stole bail money; a woman's cat is almost killed. S07E31 Oct 7, 2002 Sister sues sister for renting out her home without permission and selling her household appliances; woman sues former friend for damage to a car that was rented in her name. S07E32 Oct 8, 2002 Father sues son for repayment of bail money; a child accuses a babysitter of stealing $300. S07E33 Oct 9, 2002 A woman wants bail money from her son; a woman files a restraining order against her former lover. S07E34 Oct 10, 2002 A woman's personal property is stolen; a woman dumps manure on a motorist's vehicle. S07E35 Oct 11, 2002 Baby-sitting agreement; a man sues his lover's former husband for harassment. S07E36 Oct 14, 2002 A man sues ex-girlfriend for the bad checks he covered for her and return of his gun - she wants the rabbit, goose & duck he bought her so she can drive them to Montana; a tourist is unsatisfied with a hotel that turned out to be a Hare Krishna commune. S07E37 Oct 15, 2002 Man sues ex-girlfriend for damage to his car caused by her 10-year old son; a college student claims her former roommate vandalized her personal belongings. S07E38 Oct 16, 2002 Woman sues husband's ex-girlfriend for return of belongings; man sues ex-mother-in-law for unpaid loan which she says was a gift so she could pay for her mother's funeral. S07E40 Oct 18, 2002 A man sues ex-girlfriend for the return of his cat; woman sues ex-boyfriend for unpaid loans and cost of tuxedo rental. S07E41 Oct 21, 2002 Woman sues ex-boyfriend for throwing her belongings into the ocean in a jealous rage; woman sues aunt for unpaid utility bills. Episode 42 Oct 22, 2002 A decision by high-school friends to move in together ends in threats and violence. Episode 43 Oct 23, 2002 An airplane passenger assaults a retired beer salesman; teenagers borrow recreational vehicles. S07E44 Oct 24, 2002 A woman wants her ex-boyfriend to pay for her restraining order against him; a man takes back his former girlfriend's car. S07E45 Oct 25, 2002 Woman sues former friend for series of unpaid loans during which time he neglected to mention he got married; a mansues ex-girlfriend for value of his tools and two cars. Episode 46 Oct 28, 2002 Sister sues brother for crashing her motorcycle - he feels his medical bills are her responsibility since she should have had better insurance; women argue over a ruined evening gown. S07E47 Oct 29, 2002 A man slams a car door on his customer's arm; a former fiance refuses to pay for his wedding. S07E48 Oct 30, 2002 A woman sues her former boyfriend for negligent care of her 21 cats; a woman sues former friend for unpaid loan for a car. S07E49 Oct 31, 2002 A woman accuses a co-worker of sexual harassment; a woman says her former boyfriend threatened her with a gun. S07E50 Oct 31, 2002 A woman says she was denied access to her late father's office; a woman blames her son for her fall. S07E51 Nov 1, 2002 A battle between former lovers ends with bleached clothes; a Las Vegas man wrecks his sister's rental car. S07E52 Nov 1, 2002 A woman refuses to pay for her runaway daughter; a man says his speeding girlfriend caused an accident. S07E53 Nov 4, 2002 A housewife files false hit-and-run charges. S07E54 Nov 4, 2002 Sixteen-year-old twins, Justin and Dustin, say their car windows were broken while they were "cruising the loop", by a gang of teens who don't like them because they can't read. S07E55 Nov 5, 2002 Woman sues her ex for return of furniture and for breaking her nose - he countersues for car rims he inherited from his deceased brother; man sues former friend for cost of Britney Spears tickets. S07E57 Nov 6, 2002 An teenager sues her adoptive mother for taking the money in her settlement account; parents are sued after their daughter crashes another teenager's car. S07E58 Nov 6, 2002 A woman thinks her former lover is suing due to their breakup; a drunken patron hits a bartender's car. S07E59 Nov 7, 2002 A mother and daughter sue each other for living expenses; a nanny sues her employer for nonpayment of wages. S07E60 Nov 7, 2002 A road-rage incident in Los Angeles brings two angry men into court. S07E61 Nov 8, 2002 A woman lends her lover money from her murdered son's life insurance policy; security officer says a teen driver hit her car while driving in reverse. S07E62 Nov 8, 2002 A man becomes jealous after his girlfriend dances with another man; a woman wants her former lover to pay for her furniture. S07E63 Nov 11, 2002 Former lovers argue over damages from flour poured into a car's gas tank, knife-throwing and fistfighting. S07E64 Nov 11, 2002 A woman loses money from her bank account; a dead man's cell phone is stolen. S07E65 Nov 12, 2002 Sisters argue about a vandalized car; young lovers wage war over rent and credit card bills. S07E66 Sep 12, 2002 A woman and her daughter sue neighbor for balance due on a car and for filing false assault charges; a woman sues her best friend's estranged husband for unpaid loan for an engagement ring. S07E67 Nov 13, 2002 A woman and her daughter steal, beg and borrow from each other; car loan in Oregon. S07E68 Nov 13, 2002 Mothers argue over cheerleading squad money; a pet groomer's apartment is set afire. S07E69 Nov 14, 2002 A man says his former lover gave him a car as a gift; a cashier shoots her friend in the face with a pellet gun. S07E70 Nov 14, 2002 An artist denies distributing a sexually slanderous flier about her former boyfriend. S07E71 Nov 15, 2002 A postal worker denies owing his daughter money; parents sue their daughter's boyfriend for emotional stress. S07E72 Nov 14, 2002 A lawsuit over jewelry and a van end a long-term relationship; a man says he did not borrow from a friend. S07E73 Nov 18, 2002 Girls from Nebraska fight; a high-school student is thrown into a pool. S07E74 Nov 18, 2002 A Kansas woman's friends damage her car; women argue over a keyed car. S07E75 Nov 19, 2002 A bus driver accuses a bouncer of hitting him with a car; a man crashes into a car, pushing it through a house. S07E76 Nov 19, 2002 Angry mothers argue over runaway teenagers. S07E77 Nov 20, 2002 A landlord denies making sexual advances toward a young woman; a vintage limousine breaks down on the way to a wedding. S07E78 Nov 20, 2002 A truck driver forgets to return items to his daughter; a woman claims a tattoo of her deceased mother looks like a man. S07E79 Nov 21, 2002 A client reports a day-care provider to social services when she takes a vacation. S07E80 Nov 21, 2002 An Oregon woman argues with her mother over a honeymoon trip to Hawaii. S07E81 Nov 22, 2002 A firefighter wants money for child support; a man wants money for an engagement ring he gave to a married woman. S07E83 Nov 25, 2002 An Arizona college student denies hitting golf balls off a car; a woman sues her former boyfriend's new lover for damages. S07E84 Nov 25, 2002 A woman claims her granddaughter-in-law broke her wrist; an alcoholic tries to get money from her former boyfriend. S07E85 Nov 26, 2002 A construction worker bites a man's ear in self-defense; a man refuses to return his former fiancee's wedding dress. S07E86 Nov 26, 2002 A yelling match between neighbors over parking at a gas station turns into a brawl. S07E87 Nov 27, 2002 A firefighter's ex-girlfriend wants repayment of loans so he could spend time with 'the guys'; a painter says his ex-girlfriend vandalized his van after she spied it in a motel parking lot. S07E88 Nov 27, 2002 A man wants to show a profit on his club; a man's tomfoolery causes his driving girlfriend to hit another car. S07E89 Nov 29, 2002 A man repossessed his daughter's car after she misses a payment; a wild squirrel terrorizes a woman's cat. S07E90 Dec 2, 2002 A woman says her former lover abused her 5-year-old son; a student accuses a welder of keying her car. S07E91 Dec 3, 2002 A divorce leaves a couple fighting over a vehicle; a man trying to collect a debt is nearly run over by a car. S07E92 Dec 4, 2002 A woman denies stealing from her former lover's horse and buggy business but says that he is trying to kill her. S07E93 Dec 5, 2002 A woman thinks her daughter robbed her; a truck driver wants compensation for damaged furniture. S07E94 Dec 6, 2002 A waitress's landlord is a peeping Tom; Texans argue over a 52-inch big-screen television. S07E95 Dec 9, 2002 Woman sues druggie ex-daughter-in-law for unpaid loans; Sunday School teacher sues son for using her ATM card to clean out her bank account. S07E96 Dec 10, 2002 A man throws his mother out of his house; a former couple argues over unpaid loans. S07E97 Dec 11, 2002 An affair ends with a fight over borrowed money; a woman's son buys a shoddy computer. S07E98 Dec 12, 2002 A former couple argue over a wedding dress and a ring; a woman's possessions are thrown away hours before she comes to retrieve them. S07E100 Dec 16, 2002 After her son dies in a four-wheeler accident, a woman sues his fiancee.